Unless you have been avoiding Twitter like it has the flu, then you are likely aware that Joey Ingram made a few videos accusing Americas Cardroom of lax registration processes, excessive bot usage, and possible player collusion. 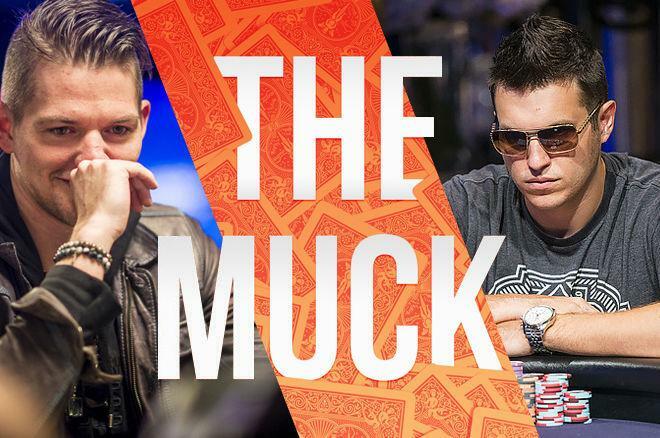 Doug Polk joined the conversation in support of Ingram and also shared some of his views about what is wrong with poker. While Ingram or Polk most likely didn't intend to offend people with their words, some people took offense to their approach and very frank words. In response to Ingram's first video about ACR, Ingram received a lot of questions and criticism about the lack of proof he provided. Polk came to his defense. Which prompted a reply by Matt Savage. Much to Negreanu's credit, he didn't respond to this tweet. Ingram and Polk took to YouTube in a video titled, "The Biggest Problem in Poker Right Now." The video is two-hours of thoughts that takes on PokerStars, PokerNews, Negreanu, the Industry and more. Then there's the discussion of the American Poker Awards, blockchain (of course), and high-stakes game organizers. And then there is the announcement of The 2018 Joey Poker Awards. "What can we do, either us specifically or as a community, what can we do to try and make poker better?" It's pretty safe to say that everyone in the poker community wants to make poker better. And there are plenty of people working to do just that. Maybe now is the time to shine a light on what's good in poker, because there is plenty of that, too. It's good that players have a voice in expressing their discontent, but that is only a positive thing for the community when corrective action is taken. Let the movement begin.